Are you afraid that you will forget your words? Or that you will not be able to put one foot in front of the other to walk onstage? Are you afraid because you have not sung in front of an audience very often? Or because you are facing a performance when you are sick? Is the problem that you do not know your music well enough? Or are you singing songs that are too difficult for your current ability? 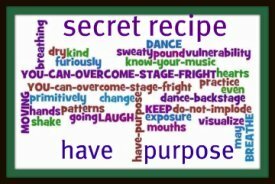 Stage Fright: 12 Powerful Tools to Help You Beat It! How to Handle Stage Fright - the funny and the crazy! So you have prepared yourself to sing as well as you can. You´ve tested the shallower waters (see the link above). You feel you have purpose for your performance. 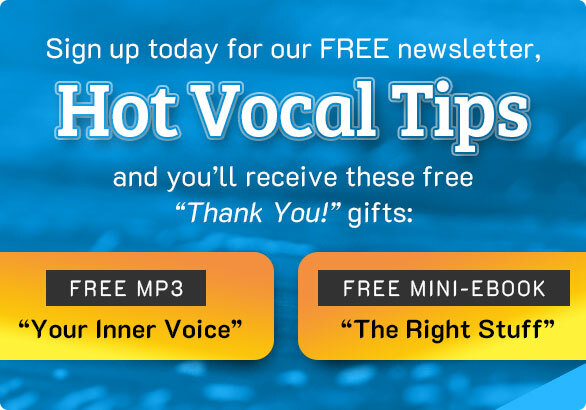 You are consistently working on improving your singing ability. And still, you are fraught with fear about performing - you get backstage and.... freeze like the ice crystals in this picture! Get Moving! Unfreeze & Grow Bigger! What happens to many performers (and speakers) is that their energy begins to implode. You can see in the poor singer´s eyes that fear is taking over. They are literally shrinking. They will walk onstage - and later, not remember a thing about the performance. What to do? Get moving. You´ve got to get your energy in motion again. Do a little dance backstage. Hop up and down. Flap your arms like a bird. Gently stamp your feet. You want to move around until your inner mood changes. IMAGINE that you are not just this ¨little me¨ standing onstage. Instead you are the bigger you - the one who is filled with the inner riches of your years (whether you are 10 years old or 77). You have a universe of feeling and experience inside you. You stand onstage and offer this bigger you with generosity. REMEMBER! People will never see another YOU as you are today. The audience is seeing an original moment in time. As you move around backstage, prepare to enjoy and share the bigger you. The one who is full of backstage humor, silly dances and well-prepared music.